​Public Boating Course: Classes are offered several times each year to teach boaters the basics of boating safely. 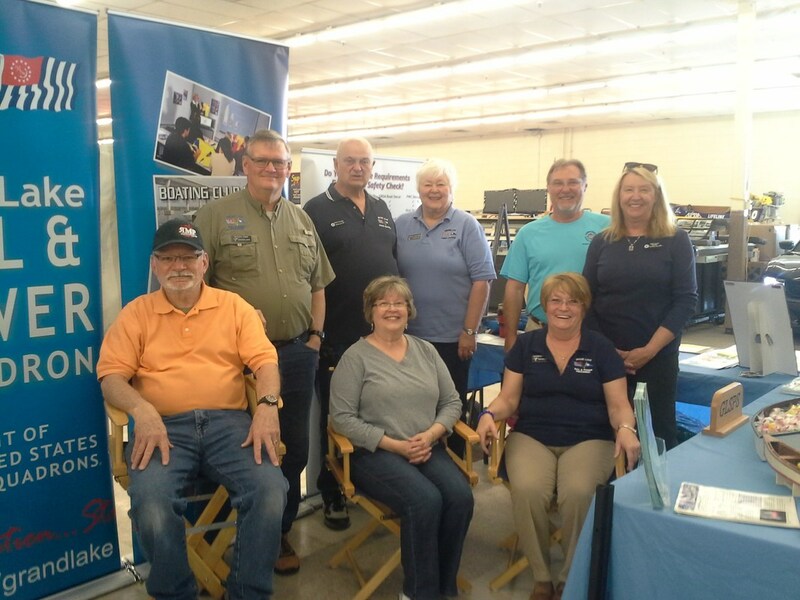 All table proctors are volunteer members who have passed the boating course. Class presenters must complete the instructor development class in order to become a ‘certified instructor”. Vessel Safety Examiners (VE): Helps to achieve voluntary compliance with federal and state recreational boating safety laws, particularly with regard to the carriage of safety equipment while raising boater awareness about safety and environmental issues through voluntary contact. Members can become an examiner after taking a short course and completing several exams with a certified examiner. 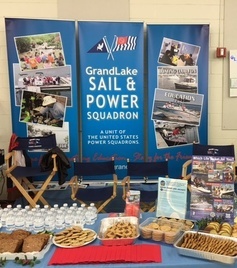 National Safe Boating Week - Held in May: Each Year the Grand Lake Sail and Power Squadron kicks off the official start of National Safe Boating Week at a local marina, usually serving a free lunch, and having our Vessel Safety Examiners on hand offering a free courtesy vessel safety inspection to all boat owners. On Tuesday, May 2, 2017 a number of GLSPS members in Life Jackets attended the Proclamation of National Safe Boating Week at the Grove City Hall. On the right is our commander Bruce Watson, SP accepting the proclamation from Grove's Mayor Ed Trumbell. 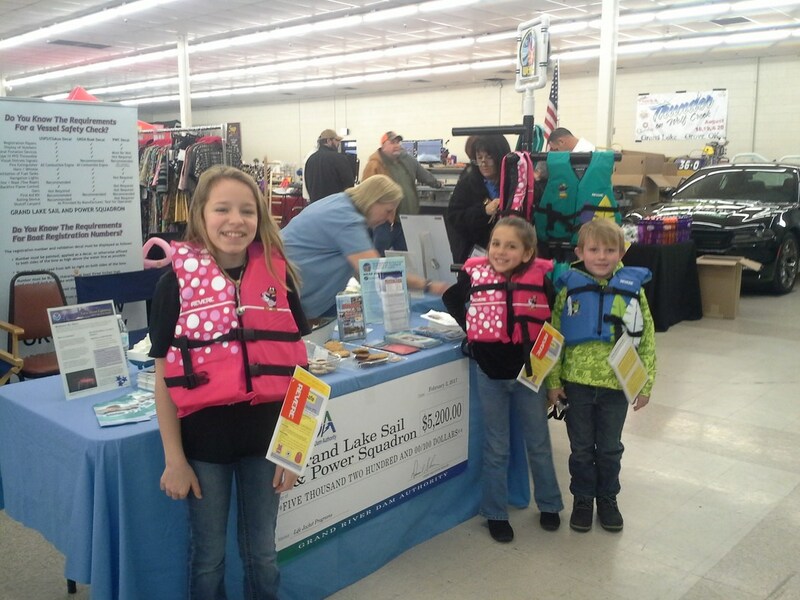 ​Annual Grove Boat Show: We introduce attendees to our organization, fit and give free life jackets to children, offer signup for safe boating classes. We also accept signups for Courtesy Vessel Safety Exams. An interactive boating safety simulation such as a virtual boating simulator or fire extinguisher use and training is also often included in our booth. 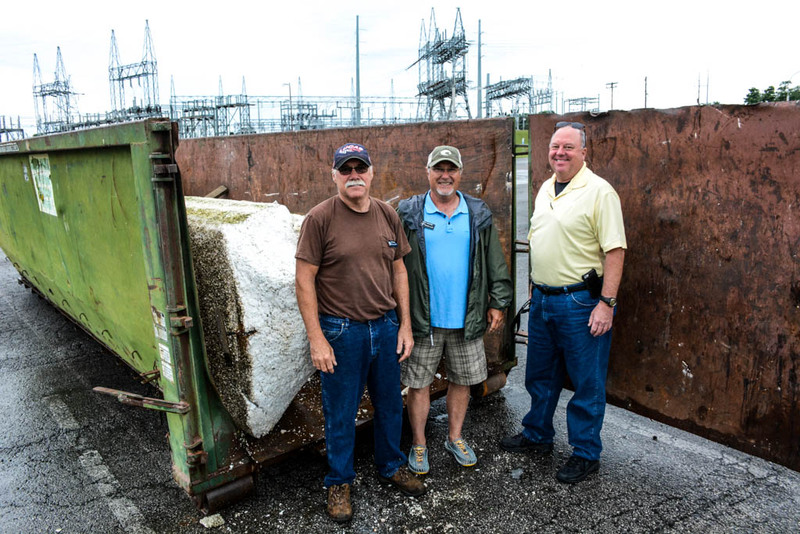 Shoreline Cleanup: Each year, in cooperation with the GRDA and other local entities, we organize a shoreline cleanup event in which the public can bring shoreline debris (ex: foam) to dumpsters stationed around the lake. 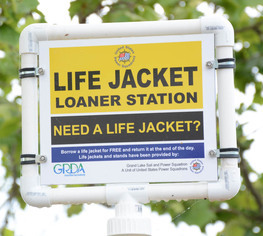 Life Jacket Loaner Stations: Our Squadron is proud to assist those those visiting Grand Lake that may have forgotten, or may not own, a life jacket for children and/or adults participating in on-the-water activities. 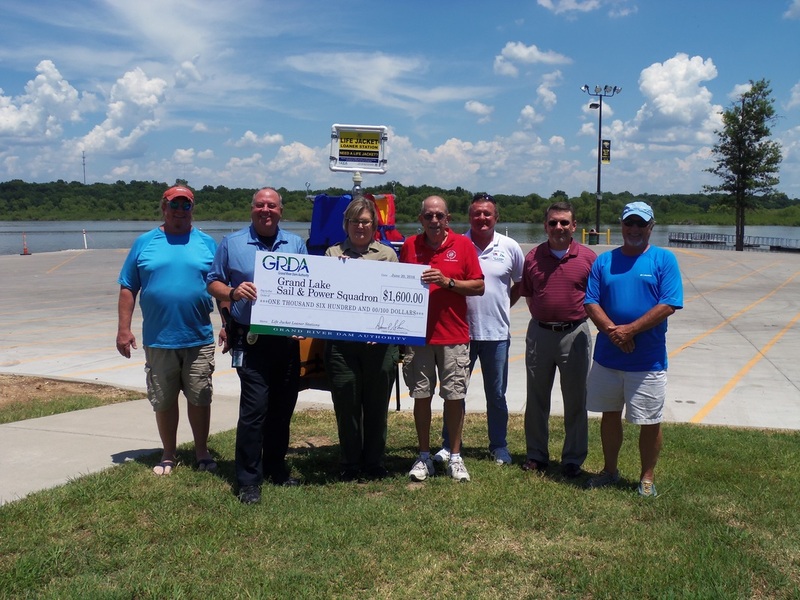 This program is made possible through a generous grant from the Grand River Dam Authority (GRDA), and also appreciated participation of the local Grand Lake Sports Center. Our members help stock and monitor the Loaner Stations around the lake. The Loaner Stations are located near boat ramps at Bernice State Park, Honey Creek State Park, Elk River Landing, Wolf Creek Park and soon at Twin Bridges State Park. 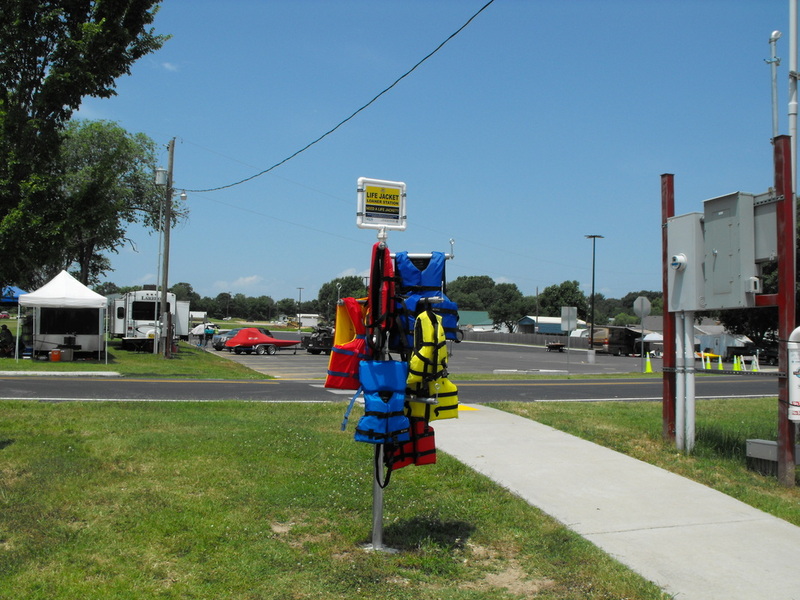 Grand Lake boaters who wish to support the program can donate used life jackets in good condition, at the Grand Lake Association Visitors Center. 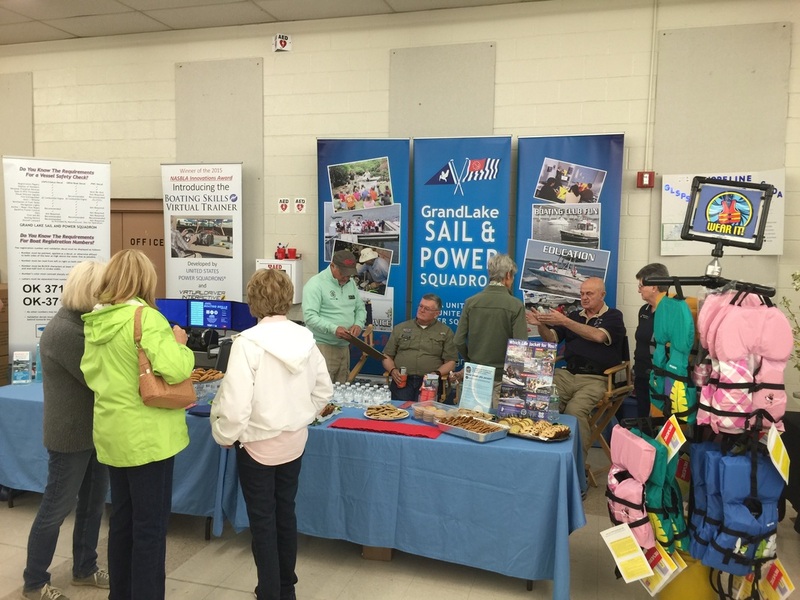 ​Grand Lake Visitors Center: Our squadron members volunteer to work the Visitors Center on the weekends and holidays through the summer months. This provides a good opportunity to meet visitors and newcomers to the area.